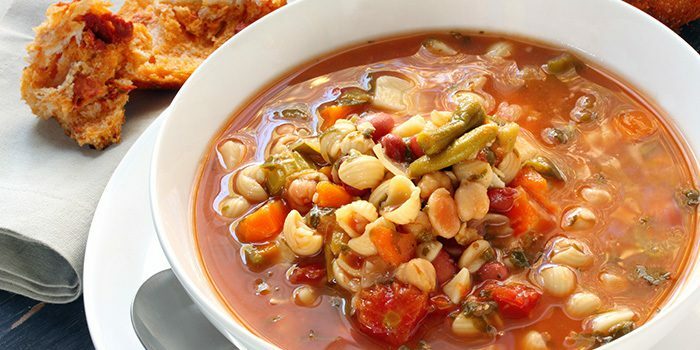 Try this classic Italian pasta fagioli soup made with white beans and whole wheat pasta. Cook pasta according to package directions. Set aside. Do not overcook. Heat oil in large saucepan over medium-high heat. 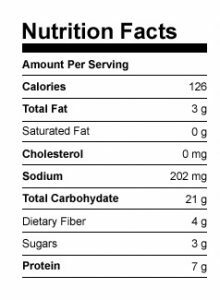 Add carrot and celery; cook, stirring frequently, for 4 to 5 minutes, or until soft. Add garlic; cook, stirring frequently, for 1 to 2 minutes, or until soft. Add broth. Bring to a boil. Reduce heat to medium. Add green beans, white beans, tomatoes, tomato paste, and rosemary. Season with salt and pepper if desired; gently boil, stirring occasionally, for 8 to 10 minutes. Add pasta; cook for 3 minutes. Serve immediately.